Are you thinking of doing an upgrade on your Mac, but without having to invest the amount needed for the new MacBook Pro? One of the options is to increase the storage of your computer through an external hard drive, which can either save your most important applications, photos, videos or documents, or serve as a backup to the computer through the Time Machine function. To know how to evaluate your need and what type of equipment to look for, check out our tips for choosing the best external HD for Mac! Is External HD really the best choice? It is possible that, despite the need for more storage capacity, the external HD is not exactly the best choice. To load system backups obviously, yes, there is nothing to discuss. However, if you just want to upload lightweight files such as photos, music or short videos, cloud storage services like iCloud may be enough. But if the intention is to be able to take these files without the need to be connected to the internet, you can use a flash drive or memory card. In Brazil, there are several models with different capacities, prices, and brands among them, possibly with some of them serving their purpose. Currently, it is possible to purchase USB flash drives and memory cards up to 64GB of storage in large stores. Which to choose: HD or SSD? Choosing between an HD or SSD depends very much on what criteria you want to take when purchasing extra storage. If you want a robust disk, that is, with plenty of space to put things – recommended in case you want to create restore points for backup – we recommend you go behind a standard external hard drive, since high-end hard drives have the greatest capabilities. On the other hand, if you need good storage, but with an emphasis on file transfer agility and that you can take with you on the road, for example, we already recommend getting an SSD. Although more expensive compared to HDDs with the same storage capacity, its agility to send and read files or programs makes up for it. What kind of connection to look for: USB or Thunderbolt? The Thunderbolt standard, exclusive to Mac and present in the most current editions of the Apple computer, is the option that offers faster transfer of files, surpassing USB 3.0, used in the PC. However, an external HD that has this option is not so easy to find in the market, only in the official Apple store, requiring high investment to acquire one. For those who have older Mac models without the entry, any HDs with USB 3.0 input will serve you. The peripheral will work even if the input of your computer is USB 2.0, due to its backward compatibility. However, the transfer speed will be that of version 2.0. 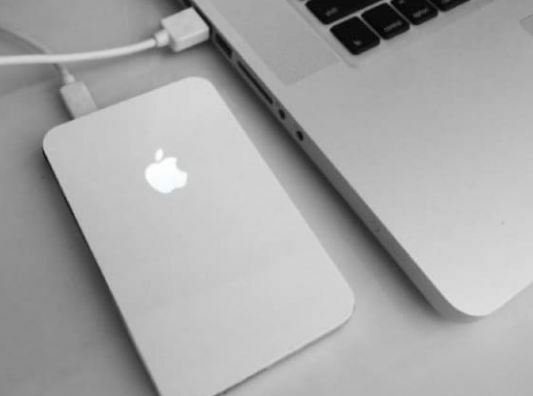 How do I know if my external hard drive is Mac compatible? Windows PC and Mac use different reading patterns of the accessories. External storage disks can be purchased in the Mac standard, but this is not mandatory. The Apple computer also reads the Windows standard, although its use is quite limited, and it is recommended to keep it in the Windows standard only if you use both systems on different computers, such as a Windows desktop and a travel MacBook, for example. f you use only the Mac, you can format the external hard drive to change its reading pattern to HFS +, which is used on the Mac and allows you to use all its functions.